Hello! 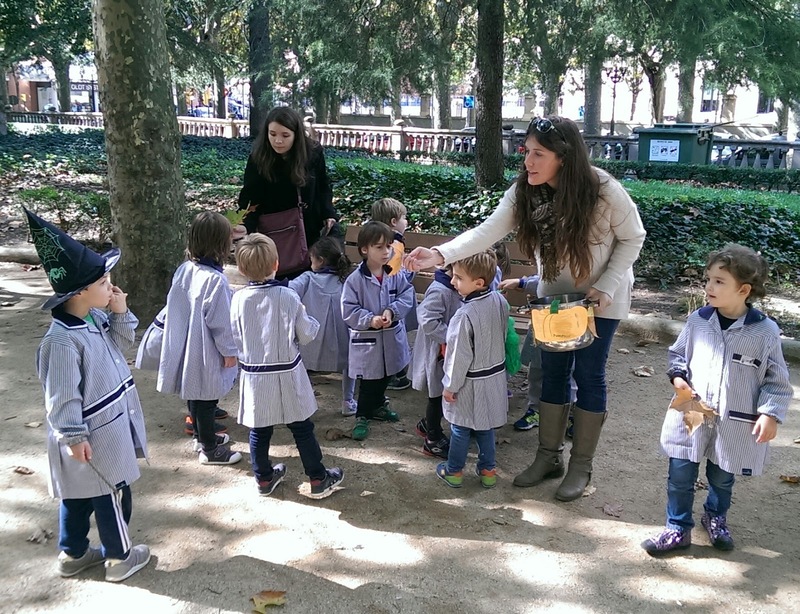 Last Wednesday we, the 4th B group, went to the center of Olot. - How many fish shops are there? There are 3 fish shops! - Are pumpkins sold in the greengrocer's? Yes, they are! - When was the theatre built? It was built in 1769. Then, it was rebuilt in 1842, 1887 and 1992. Finally, Anna and Júlia helped us to go back to the school. Here there are some photos about our trip! In front of the market. Hi all! 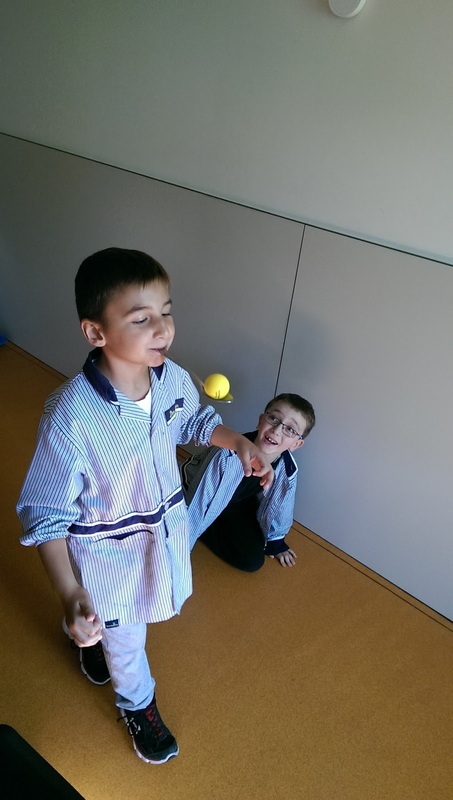 Last week we did a gymkhana with our 2nd B group. We could see that working together and helping each other we can reach our goals! Here there are some photos. Team B: Joi, Gerard and Joan. Goal: Bring the ball with a spoon in your mouth until the egg-cup and put the ball in its proper place regarding the colour. Today during the trip with the groups of P4 and P5! 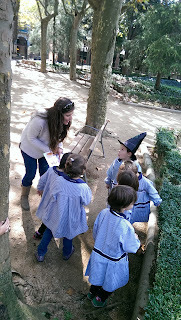 Finally we have found all the ingredients to put in the cauldron: pumpkins, spiders, chestnuts, leaves and witch hats! Mary has a magic cauldron! Helena holds the sheet with the potion ingredients and Martí has just found a witch hat! Are they real? they are scary! Let's put all the ingredients into the magic cauldron! After that...surprise! The cauldron gave us some Halloween masks! The three little pigs and the big bad wooolf! Let's play with puppets! Hello! How are you? 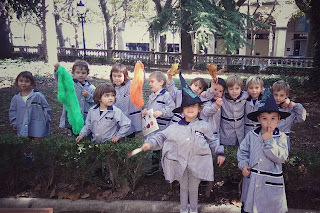 On Monday 12th and on Wednesday 14th of October we, the P5 A group, did some puppets and we played and represented the Three little pigs and the big bad wolf tale! 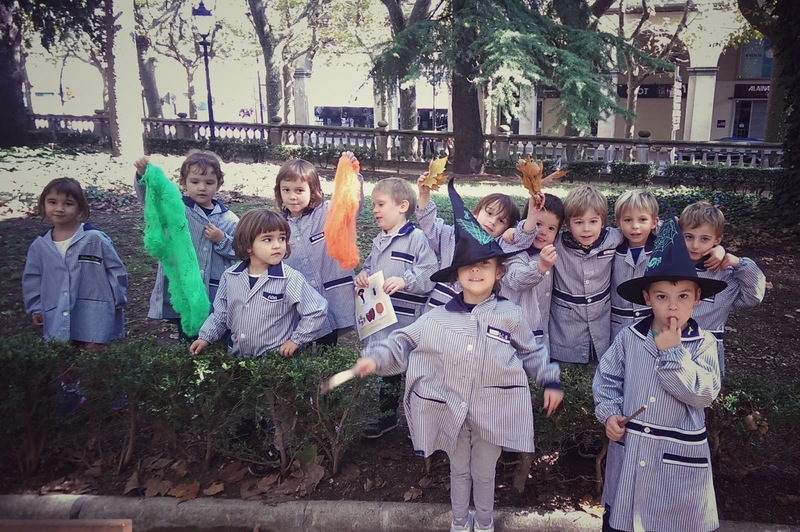 Ernest was the little pig that built a house made of sticks, Noa represented the little pig that built a house made of bricks, Arnau was the wolf and Laura helped us with the little pigs voices and holding the houses' puppets. We are Joel, Bàrbara, Isona, Queralt and Júlia P.
On Thursday the 8th and Friday the 9th of October, all of the students from 3rd and 4th grade went on a school trip to NÚRIA!!! We stayed there one night, and today we want to tell you about our trip, but in English, of course! On Thursday, in Olot, we took a coach and when we arrived to Queralbs we took a special train called “cremallera”. This train took us to La Vall de Núria. We took the “tele-eggs” (cable cars) to the hostel. Later we went to have lunch: PIZZA and meat with chips. There were pears for dessert. In the afternoon we made two groups. Group A did a gymkhana in Núria. Group B learnt about mountain animals. When we finished we went to Núria, we had a snack and we changed activities. Then, we went to have dinner: rice with tomato sauce and omelette. At night we were investigators and solved mysteries. We had lots of fun!! In the morning we went to a mountain called “Pic de les Àligues”. It was UP, UP, UP!!! We saw some chamois, vultures and eagles! 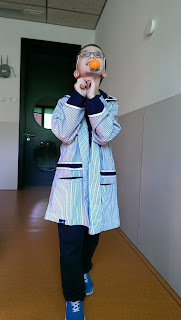 We ate carbonara spaghetti and breaded loin for lunch and, after lunch, we took the coach again and went back to school. It's autumn and we like it! 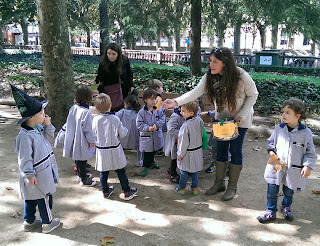 Today with some of the P4 students we have visited the Clara square and done some activities related to Autumn. We had a great time there!! !